Cyril Ramaphosa has pipped Nkosazana Dlamini-Zuma to the job of ANC president in Nasrec in Johannesburg. 2440 ANC branch delegates at the national conference elected Ramaphosa to succeed President Jacob Zuma against 2261 for Dlamini-Zuma. Although Zuma’s term as the ANC president has ended, he still remains the head of the country, and Ramaphosa his deputy in government. Ramaphosa becomes the first ANC president to come into power without the backing of the ANC women and youth leagues, who had put their weight behind Dlamini-Zuma. The former general secretary of the National Union of Mineworkers also becomes the first unionist to ascend to the top seat of the ANC – a factor that does not sit well with many of Dlamini-Zuma’s backers, who claim that he is not a legitimate born and bred ANC leader and therefore an outsider. They cite this among the reasons why the ANC previously overlooked him in favour of former president Thabo Mbeki. Another unionist on Ramaphosa’s top six team is former ANC secretary-general Gwede Mantashe, now the new chairperson. Cosatu second deputy president Zingiswa Losi lost out to Jessie Duarte for the position of deputy secretary-general. The remainder of the top six includes Free State Premier Ace Magashule as secretary-general and Gauteng ANC chairperson Paul Mashatile as treasurer-general. Mpumalanga Premier David Mabuza scooped the deputy president post over Ramaphosa’s candidate Lindiwe Sisulu, also human settlements minister. Mabuza prevailed despite a request for a recount that delayed the election agency’s announcement of the results. Ramaphosa’s proximity to business bodes well for the desperately needed resurgence of the economy, but it also riles those in the party who view business with suspicion. His message on the economy is the introduction of the “new deal”, which he describes as a “mechanism” to implement the national development plan and, by extension, the ANC’s Freedom Charter. His opponents have rejected the plan on the grounds that it does not feature in ANC vocabulary. Dlamini-Zuma had took an early lead in the succession race as a result of leagues’ support, and it was capped by Zuma’s endorsement a few months later. At that time Ramaphosa was seen as a reluctant candidate, with many banking on the hope that he was too much of a coward to contest. Ramaphosa agreed that the decision to contest for the ANC’s high office was not an easy one but he could not reject a call from ordinary ANC branch members. He had to reassure his family, particularly the children, who were worried that he would be “crushed” if he lost. It took an injection of support from Cosatu, particularly the National Union of Mineworkers, to slowly get Ramaphosa’s campaign on track. His first endorsement by an ANC structure came from the Northern Cape, followed by Western Cape, Eastern Cape, Gauteng and Limpopo. While Dlamini-Zuma campaigned on a gender ticket – that it was time for the 105-year-old ANC to have a female president – Ramaphosa was launched on the back of a lobby that it was “tradition” for the ANC deputy to become the successor. As he grew more bold in his campaign, Ramaphosa began to speak strongly against corruption, making him a darling in the media amid longstanding allegations of state capture levelled at the Zuma administration. He threatened to put those implicated in state capture and criminal conduct in jail. This was despite the risk that in speaking strongly against corruption he may antagonise Zuma’s sympathisers in the ANC. However, it seems to have paid off. 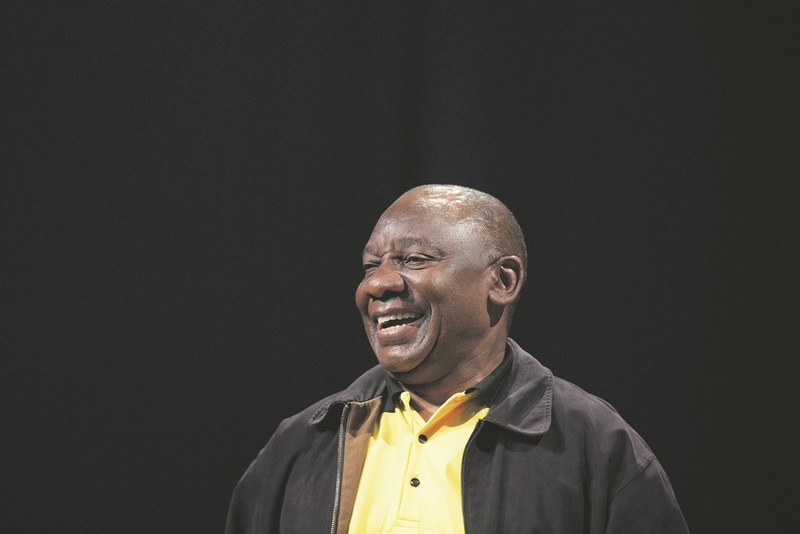 Should Deputy President Cyril Ramaphosa win the ANC race, it will provide a "confidence upturn" for both domestic and international investors, but there's no silver bullet, warn analysts. Deputy President Cyril Ramaphosa remains the “popular choice” to lead the ANC to a victory in the upcoming 2019 elections, according to the figures collected by technology based research company, Ratepop.